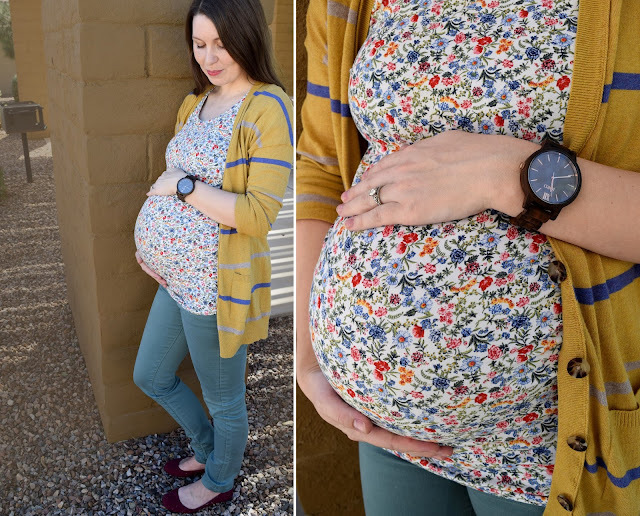 As a pregnant woman, I always enjoy reading maternity fashion posts on other blogs. I tend to like the layered look when it comes to dressing the bump. The problem is that I live on the surface of the sun and there's only a small window of time to achieve that style here. If I were to describe my everyday maternity look, I would say it usually involves my husband's shirts and basketball shorts, and trying not to sweat to death. But then I received a gorgeous wood watch in the mail, and it inspired me to actually get dressed. So I said gosh darn it to the weather and went to a holiday boutique in a layered maternity outfit. The weather was under 90 degrees so I guess I'll call that a win for fall. My friend Hannah came with me to shop and she agreed to take a million photos of me posing awkwardly so I could get a few decent ones to show off my put-together self. The shirt I'm wearing is my favorite maternity shirt ever. It's from H&M, but seems to be currently out of stock (here's a similar option). My skinny jeans are from PinkBlush and are available here in a different color. My burgundy flats and striped cardigan were picked up from the clearance rack at Target. I love wearing cardigans open over a t-shirt while pregnant. When the weather allows it, you better believe that I'm wearing a cardigan of some sort. Let's talk about that watch though (which you can find here). 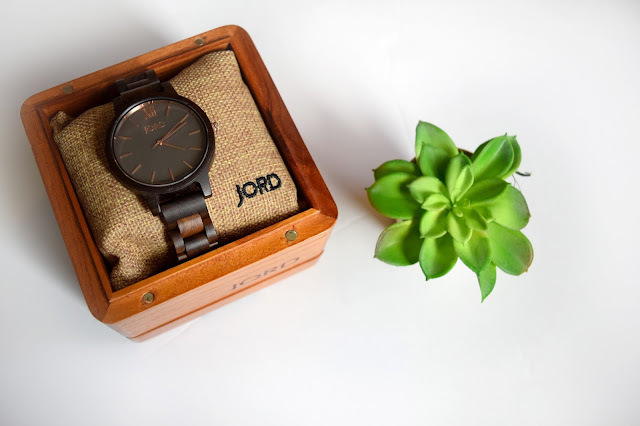 JORD sells the most gorgeous wood watches for men and women. Yep, wood watches. I love how unique and timeless they are, plus I think it really completes my outfit and helps me look more put together. I'm not the best when it comes to accessorizing, but when I see this beautiful watch, I automatically want to put it on. Lucky for you, JORD has a giveaway for a $75 e-gift code going on right now (and you get a $20 e-gift code emailed straight to you just for entering) so you can get your very own wood watch (or as a great Christmas gift for someone else)! Go here to enter! The contest will run until 12/4/16 and the codes will expire on 2/28/2017. What's your favorite fall look? 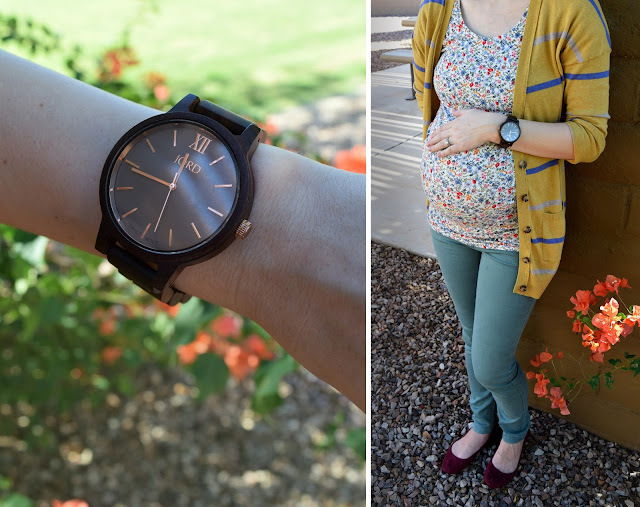 Does your style change when you're pregnant? Do you own a JORD wood watch?